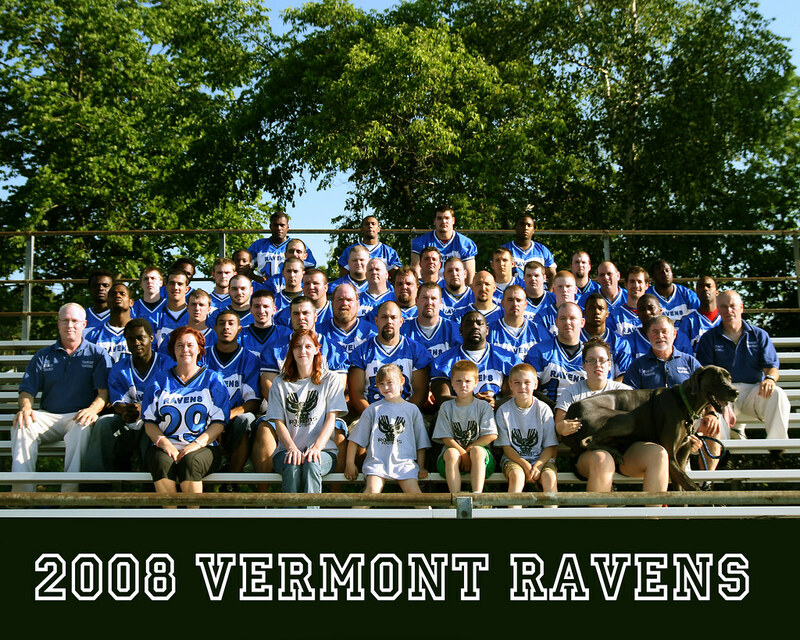 During the 2008 New England Football League Season, I had the pleasure of serving as Official Team Photographer for the Vermont Ravens, a second year squad based in my hometown of Barre, Vermont. My affiliation began as a spectator and photographer, looking to find new stuff to take photos of. I attended three Ravens games in the 2007 season, and was impressed by the dedication that the guys showed. 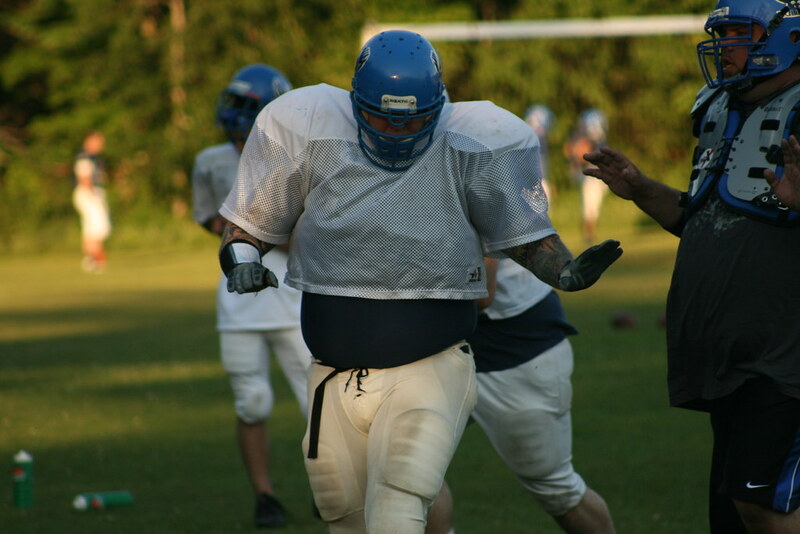 Semi-Pro Football is getting big in New England, Vermont especially. So....when I was asked by Owner and Head Coach Mike Salmon to take the Team Photo that would be used for the Yearly Program, I jumped at the chance. 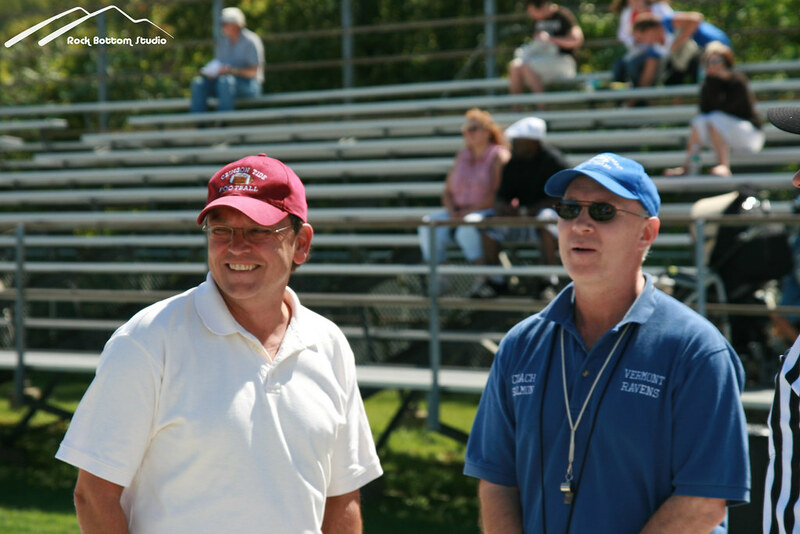 What started as a commitment to shoot a team photo grew quickly to a feeling of being part of the team. My thanks to the owners and staff, but especially to the players for accepting me and respecting what I do. I look forward to working with you all again! 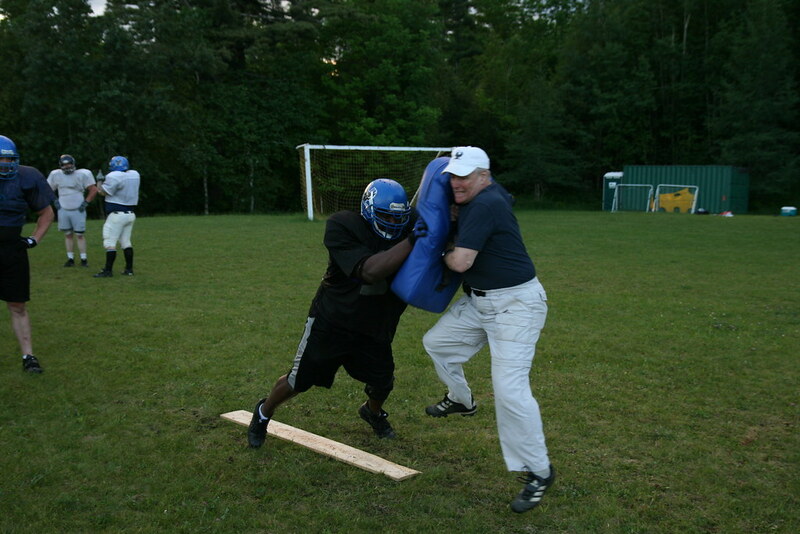 Richard Eckley shows off some dance moves as Mike Foster explains that he didn't sign up for this! The Ravens didn't have a lot to celebrate, as 2008 proved to be a tough season. 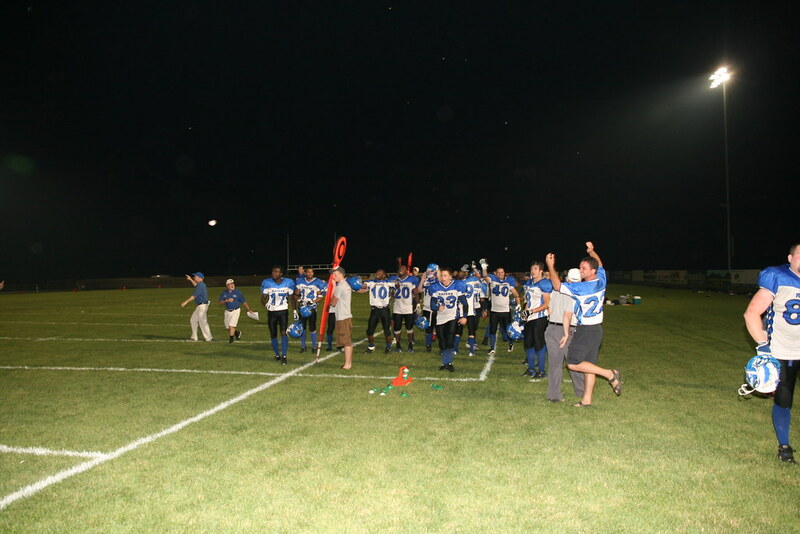 Winning the Season Opener brought out this celebration. 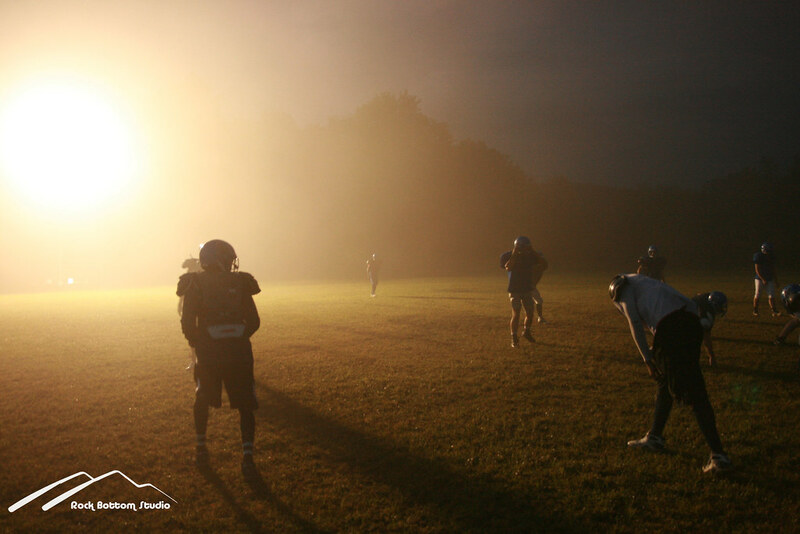 Another of my favorite practice shots. 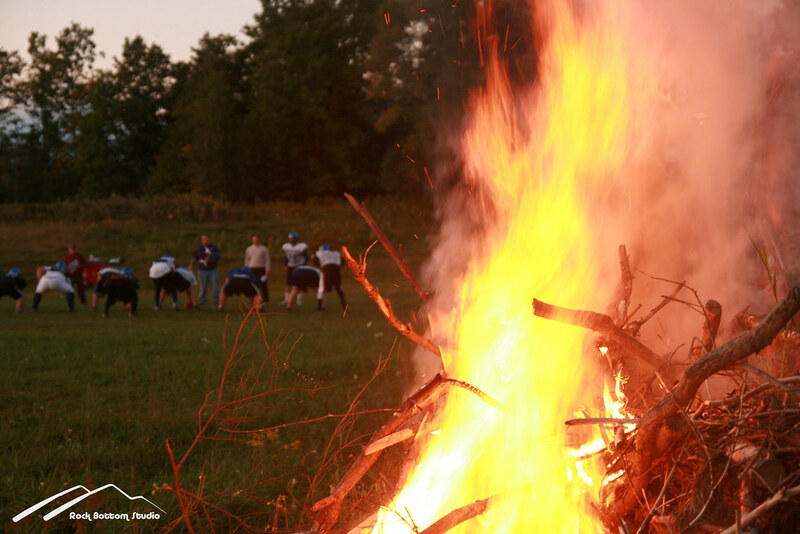 This bonfire seemed to exorcise some demons, as the Ravens followed this practice up with a victory to close out the regular season. So, during the 2008 Season, I took a little over 10,000 photos! This included practices, games & events (Team Photo Shoot, the Barre City Downtown Tow-Down and practice field construction). Of these, I shared 700 on my photostream. The Ravens gained fans all around the world, that will be back to watch the team improve and win next season. Click the photo below to go see the shots I uploaded to my Flickr site.